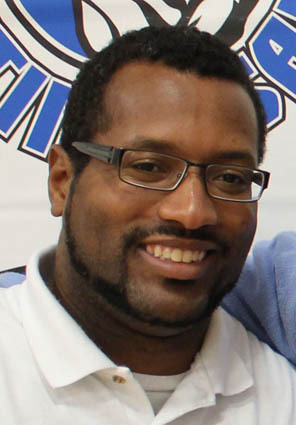 RUTLAND – College of St. Joseph has named Alphonso Howlett as men’s basketball head coach. Howlett brings a wealth of experience from both on the court and on the sidelines at the collegiate level, having served most recently as the assistant coach for the men’s basketball program at CSJ under former Head Coach Bob Walsh. A native of Harlem, N.Y., Howlett also held the position of assistant coach for his alma mater Green Mountain College from 2008 through 2009. As a member of the college’s basketball team from 2006 through 2008, he was both a captain and a two-year starter. “As a native of New York City – a young man out of Harlem – I have a strong connection with the guys that we have on our current roster and potential inner city recruits looking to attend College of St. Joseph,” he said. Howlett has spent the last four years as the varsity boy’s basketball coach at nearby Poultney High School and has experience working at basketball camps throughout New England, teaching fundamental skills of the game to children and young adults. Walsh stepped down after two successful seasons as the head coach that included two trips to the national tournament. He is an associate professor of psychology and human services at College of St. Joseph. Howlett is looking forward to what the upcoming season holds for the team that finished last season with a 20-11 overall record.